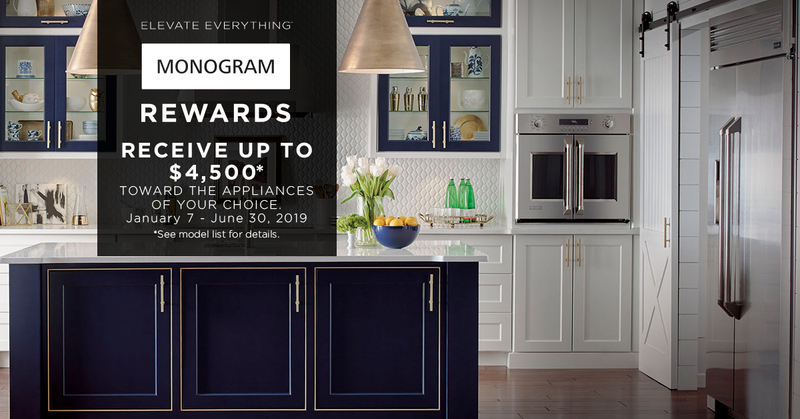 Offer valid from January 1, 2019 to June 30, 2019, at participating authorized GE Appliances resellers. No more than two appliances of the same type will be eligible for rebate. This rebate cannot be combined with any other GE Appliances Rebate.